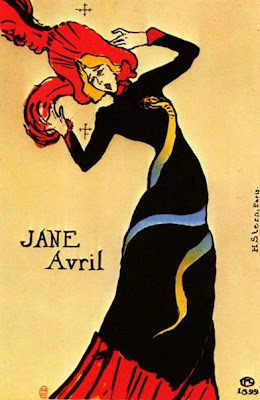 One of Toulouse- Lautrec's favorite models was the dancer Jane Avril. Here she is being threatened by the decoration on her own dress. Pre-surrealism, but definitely post-Freud.